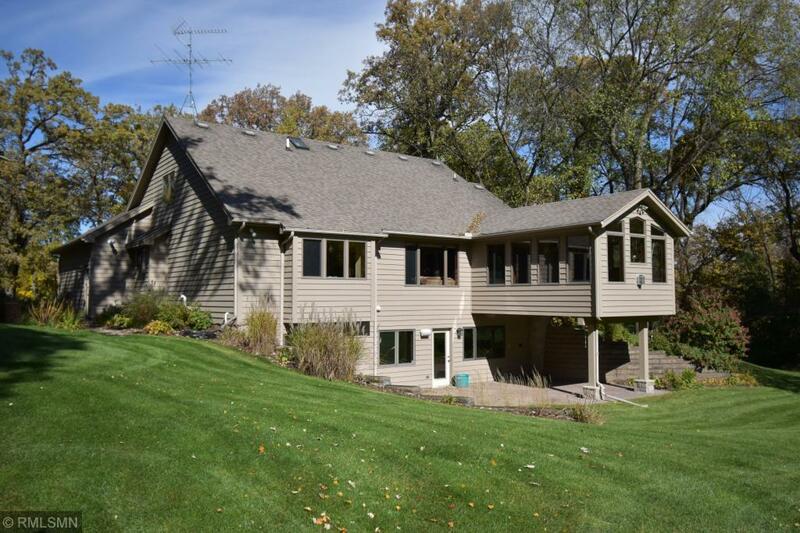 4 bed, 4 bath home on 10 acres 10 mins S of St. Cloud. This home features large windows and skylight and creates natural light through main living areas. 30x35 pole barn with 2 horse stalls and fenced pasture. 8x10 storage shed, granite counter tops, tile floors, sun room, master suite, gas fireplace, custom shelving, walk out basement to patio with beautiful oaks in park like setting. Choice of St. Cloud or Kimball schools.